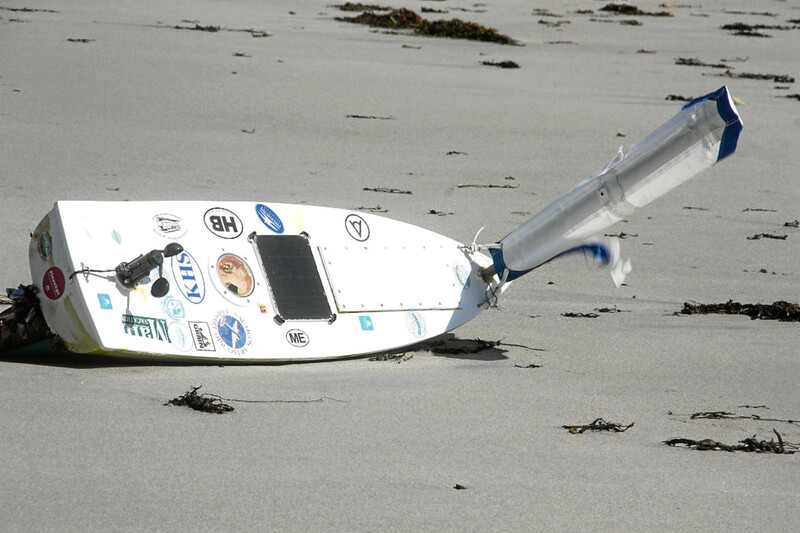 A TINY unmanned sailboat launched by school pupils in the US has washed up on a Scottish island. The little craft travelled more than 3000 miles, surviving towering waves and storms. Finally, after a 168-day adventure, tourists found the “shipwrecked” vessel on a Benbecula beach. Now it’s set to be repaired and relaunched on another epic jouney across the Atlantic. 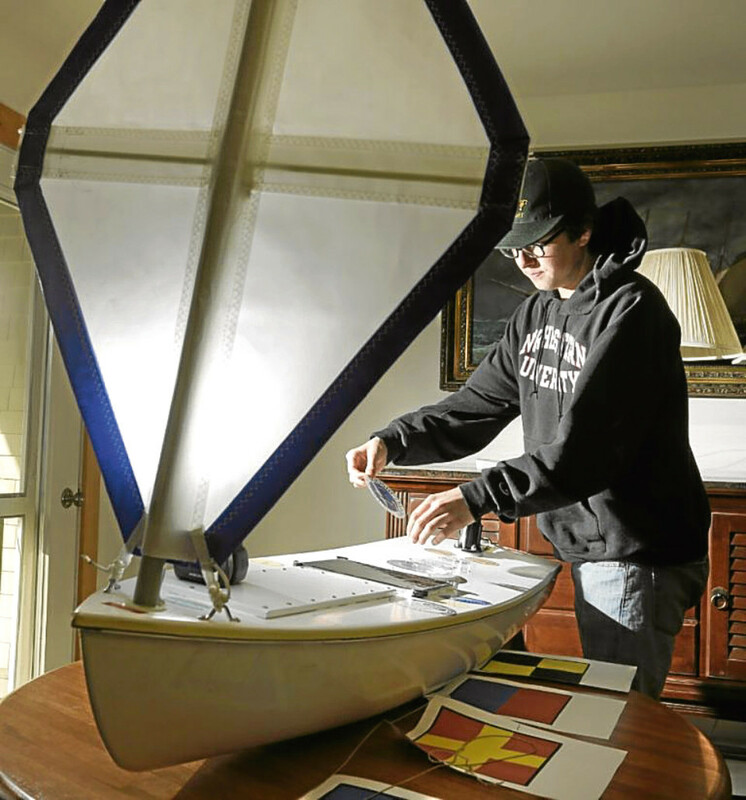 The five-foot drifter, which students at Kennebunk High School, Maine had dubbed The Little Boat That Could, was discovered by John and Angelika Dawson. The holidaying couple, from Abbotsford in British Columbia, discovered the boat marooned on Balivanich Airport Beach. Curious, they alerted the police. The Coastguard then checked to ensure the craft was not dangerous, before contacting a teacher at the school using details found within the ship. Only then did its amazing journey come to light. Communications director Angelika, 53, said police station staff looked surprised when she walked in to report a “shipwreck”. John, 59, added: “We were not sure what it was initially until we started examining it. It had obviously been in the water for a long while and was covered in mussels.” The boat was passed on to Mari Morrison, a teacher at North Uist Primary School. Now teachers in Maine hope they can work with staff and pupils in North Uist to get it fixed up and back on its way around the world. Leia Lowery, Kennebunk Conservation Trust’s director of education, said: “It was supposed to go to the UK based on currents but it must have gone in a storm because it went straight to Spain then all of a sudden made a beeline for Scotland and got there very quickly. Teachers are keen to establish links between Maine and Benbecula to let pupils learn about life on opposite sides of the Atlantic.